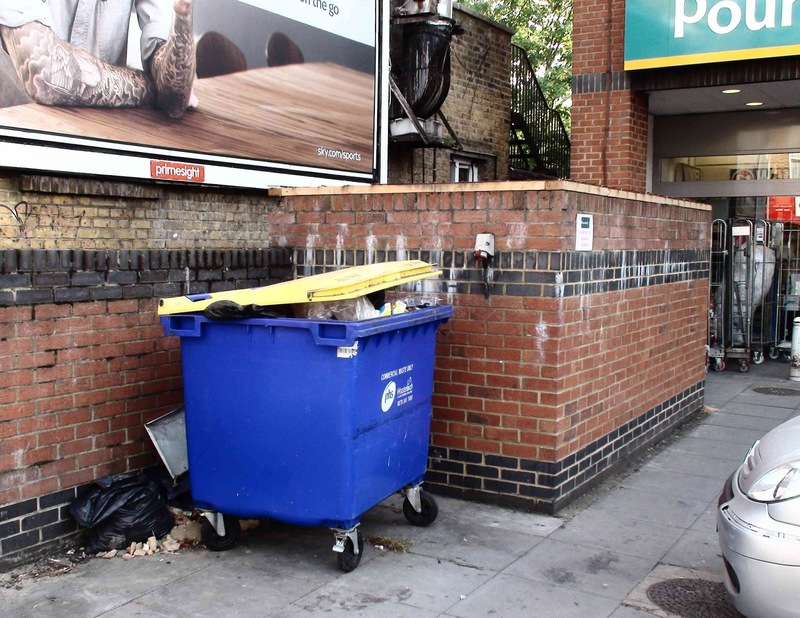 Readers who regularly pass the bottom end on Central Road may have noticed a larger than usual pile of rubbish in and around the Poundland dumpster recently. 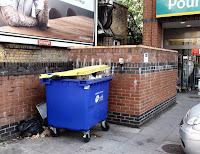 The hefty mound of refuse has been building up over two weeks due to the contractors who normally empty the skip weekly inexplicably not turning up last week. 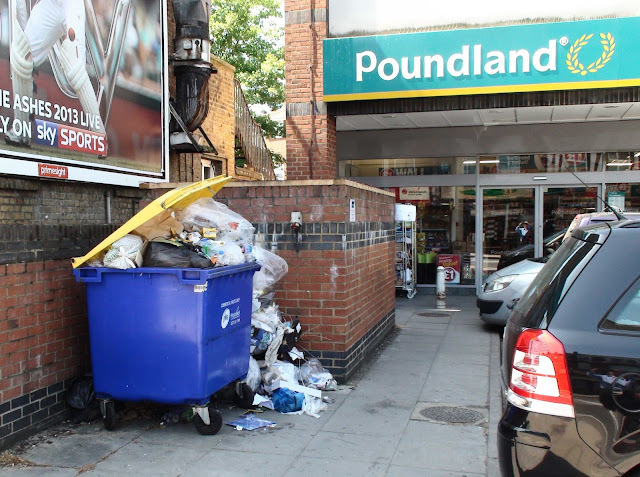 The manager of Poundland told the blog that he has been on the phone to them daily to get the mess cleaned up and has been told it will finally be removed early tomorrow (Thursday) morning. Some people have now started to fly tip there. Apparently one person was caught this morning leaving a bag of rubbish ‘just near’ the overflowing pile. We hold our breath ‘til tomorrow morning then. Literally. Just to let people know that while this was not sorted out early Thursday morning as promised, it was done early Friday morning instead. 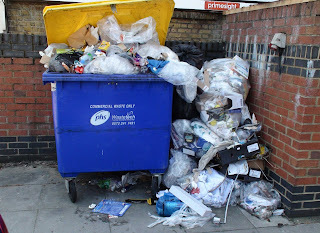 Apparently the rubbish company (take that any way you like) were late arriving and because the car park was full of cars by then, they were not able to bring in the truck to empty the dumpster. Additionally the store manager is trying to organise a second skip for the store - not because they need one for their own rubbish, but because of the amount of rubbish fly tipped there by other people. This however is now in the hands of those in Poundland head office.